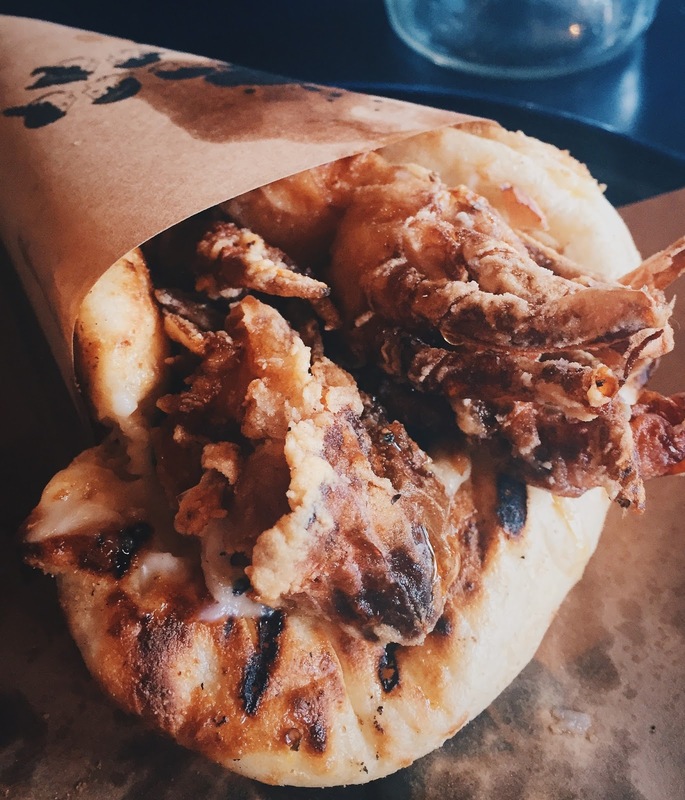 It’s no secret how much I love the souvas from Jimmy Grants, which is why I was delighted when my friend picked Gazi, another restaurant by George, for her birthday lunch. 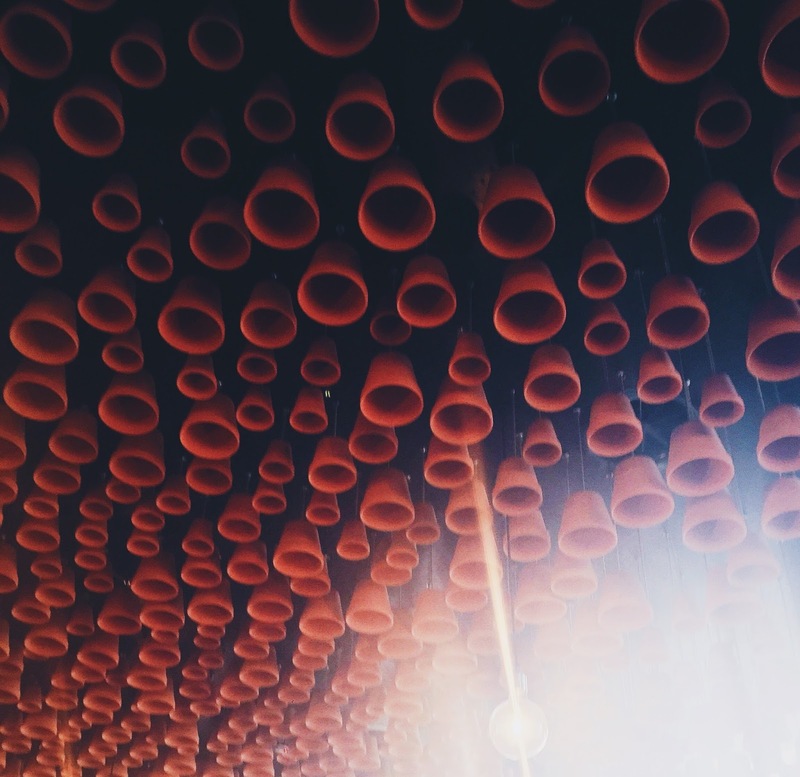 These terracotta pots are a signature decor in Gazi, although creative, I did think that it made the restaurant extra noisy, and made it difficult to have a conversation. We ordered three dips to start things off, and they definitely weren’t your ordinary dips! The crowd favourite was the Taramosalata, otherwise known as the fish roe dip. It was rich and creamy, with a hint of acidity, and was morish to eat! If only there was some more pita bread. 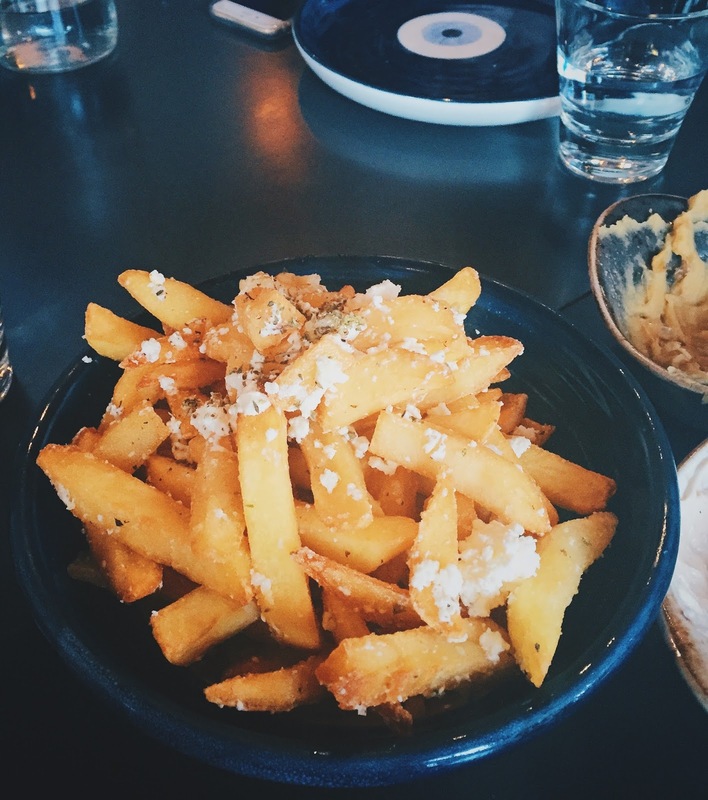 Mmmmm, I can never say no to these gorgeous fries, accompanied by feta, garlic oil and oregano. There were some of the crispiest chips I’ve had, and I especially love the tiny little crunchy bits! Of course we had to order some souvlakias too, souvlakia is a small version of a souvlaki, and although small, these were all very filling. Gazi had more choices of filling, and my friend and I shared the soft shell crab and duck one, because they were the most special haha! The soft shell crab souvlakia had everything I was hoping for. 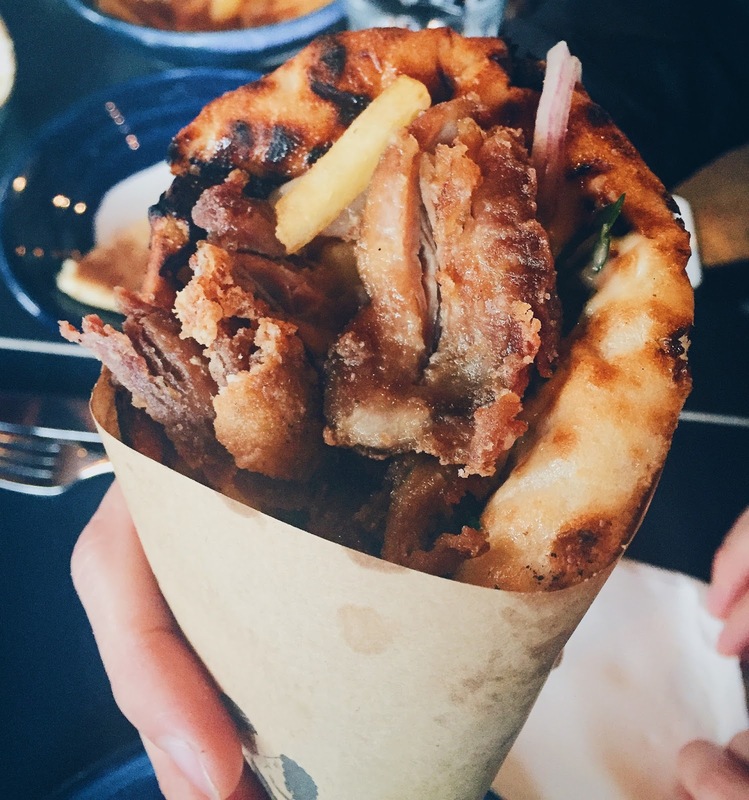 Crunchy deep fried soft shell crab, soft pillowy pita bread, plenty of mayo and a sprinkle of fresh herbs – I did take the coriander out since I’m not a fan – seriously, every mouthful was amazing. The duck souvlakia was equally delicious. When I first saw that the duck was deep fried too, I was worried that it would be too dry, but the meat was still really tender, but with a crispy exterior. Chips was part of the filling too, to add even more crunch. The pear really helped to cut through the richness of the duck, and the mustard mayo and parsley completed the package. I love how the two souvlakias had different sauces and herbs, it really goes to show how much attention was paid to the details. Because it was a birthday lunch, we had to end it on a sweet note. And the theatrical Bombe Metaxa, with a fire and all, was perfect for the occasion. 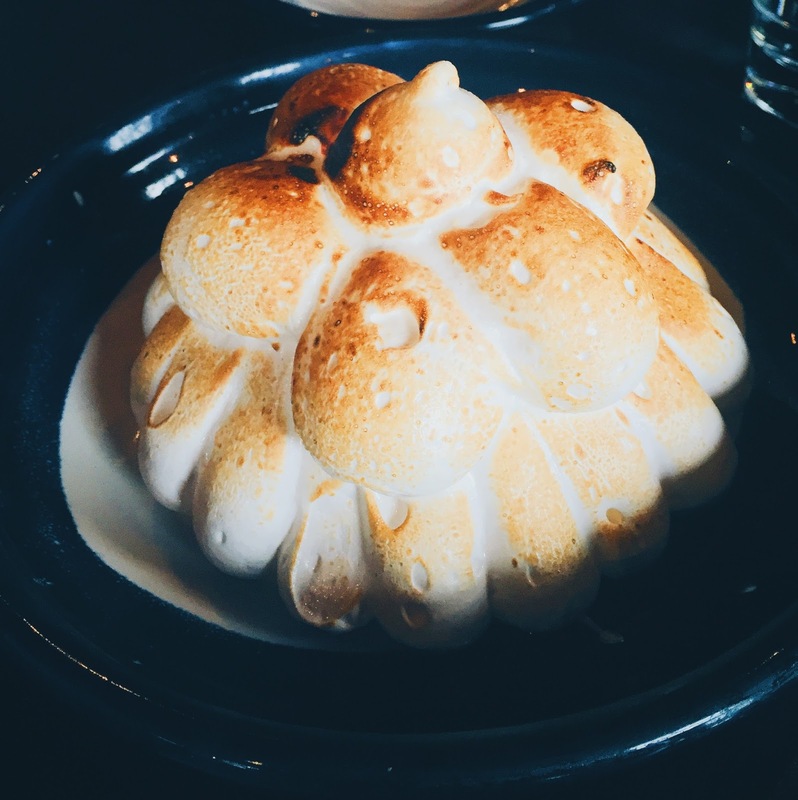 Underneath all the meringue, was some chocolate ice cream and tsoureki – a dense and sweet bread. 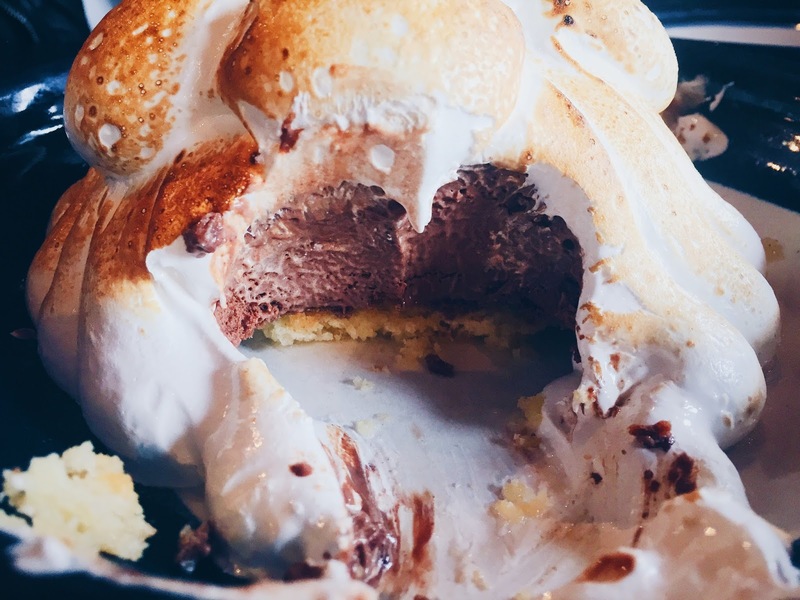 Although there was nothing to fault with each element, it did become way too sweet for us to finish, especially because of the sheer amount of meringue. 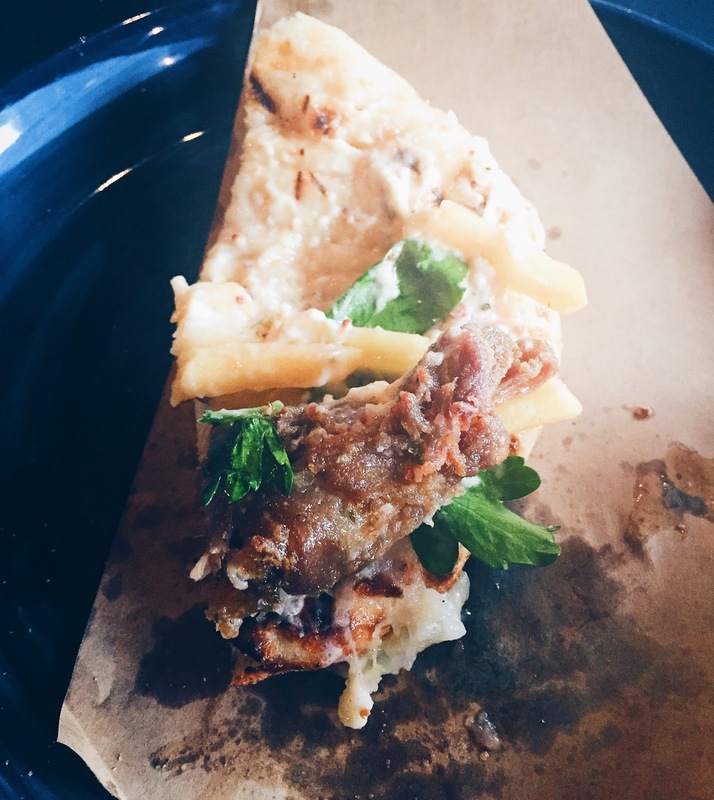 There’s a lot of things I did like about Gazi, the souvlakia, the chips, the evil eye plates. However, I’m not sure if I like the ambience of the restaurant, it was very loud, and service can be a bit of a hit and miss. Also, don’t know if it’s just the time we visited, but the crowd was quite a bit older than us, mostly groups in their 30s and 40s, which I did not expect. 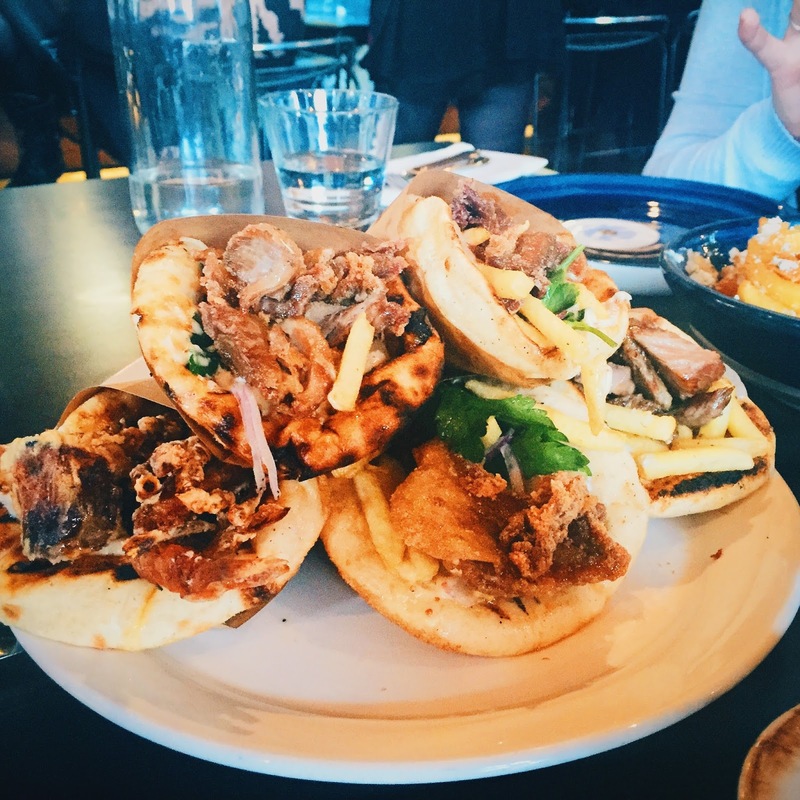 Gazi is located on Exhibition Street, 10 minutes walk from Flinders Street Station.